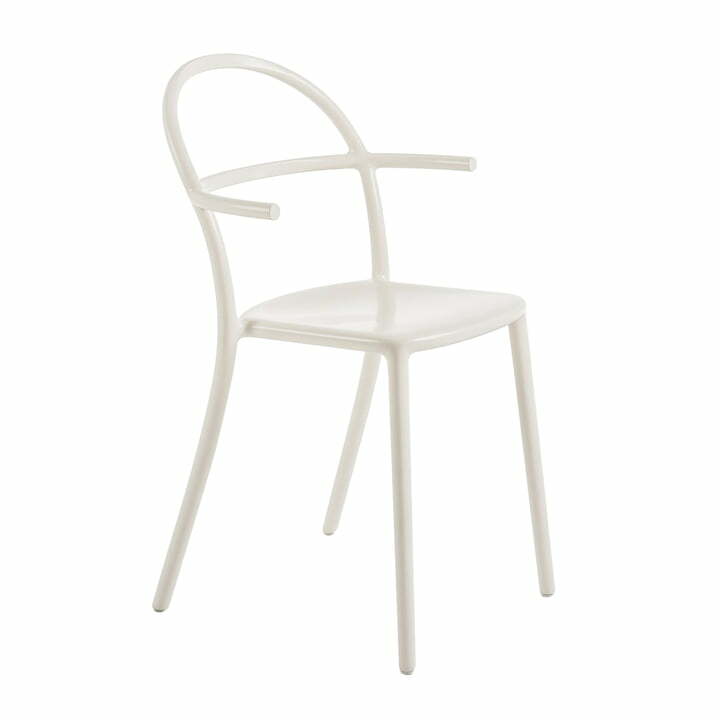 The Generic chair series by Philippe Starck is the result of an experimental and ambitious project by the designer, whose goal was to find and optimise the ideal generic type of chairs for various spaces. 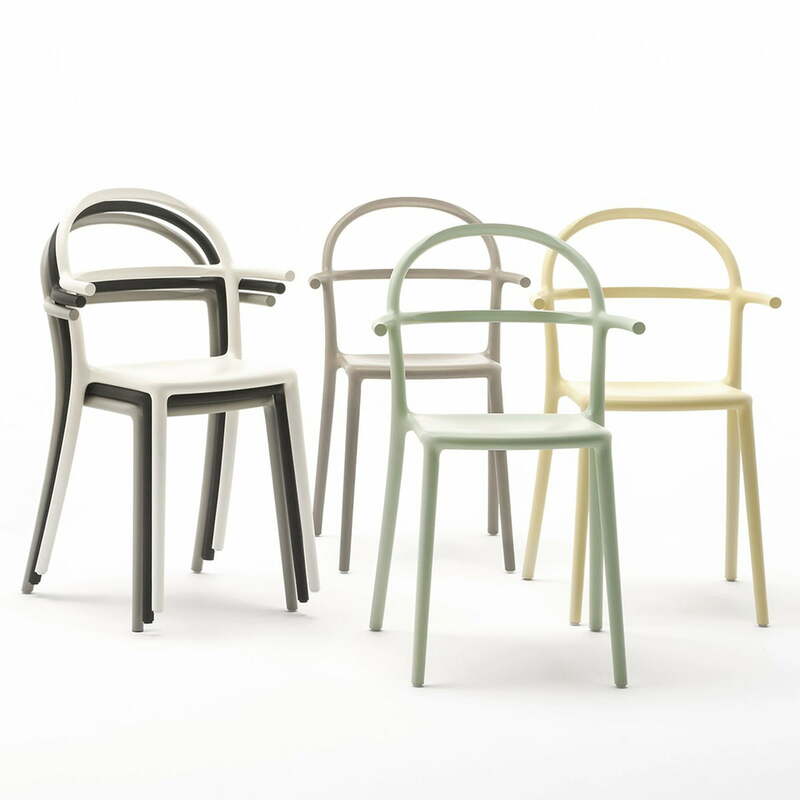 The Generic C chair is the ideal chair for a café. It is the modern version of the classic Viennese coffee house chair and has a fresh and inviting appearance with its rounded backrest and slightly protruding armrests, that take up no space to the sides. 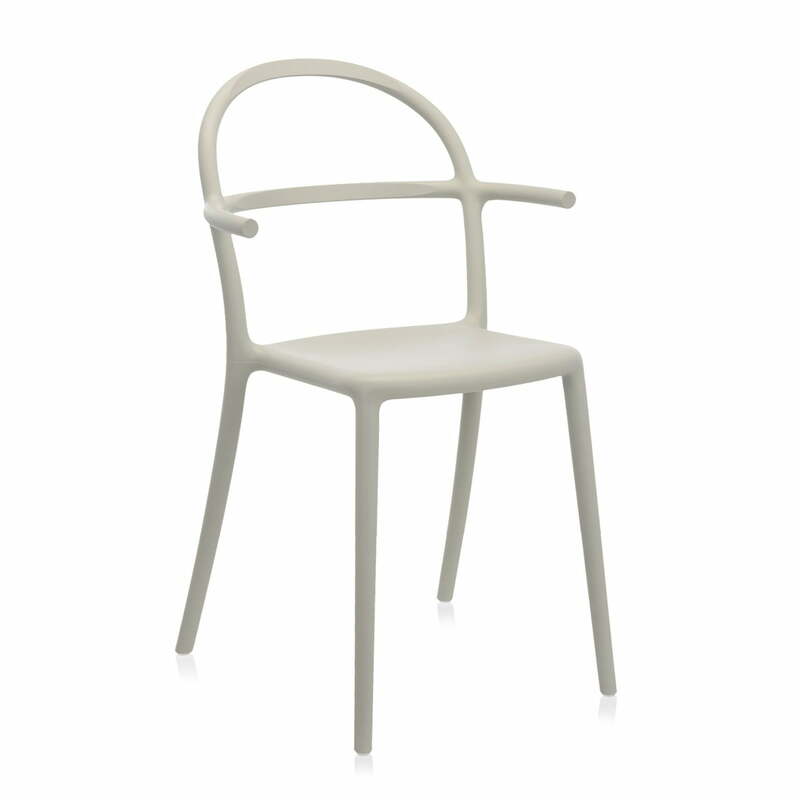 The chair is made from polypropylene and is available in various colours. The chair is light, transportable and extremely versatile. When not in use, the Generic C chair is easily stacked which gives it a space-saving quality. Up to 5 chairs can be stacked at once. In addition to public places such as cafés, bars and restaurants, the Generic C chair can also be used in private living spaces such as the dining room or kitchen.